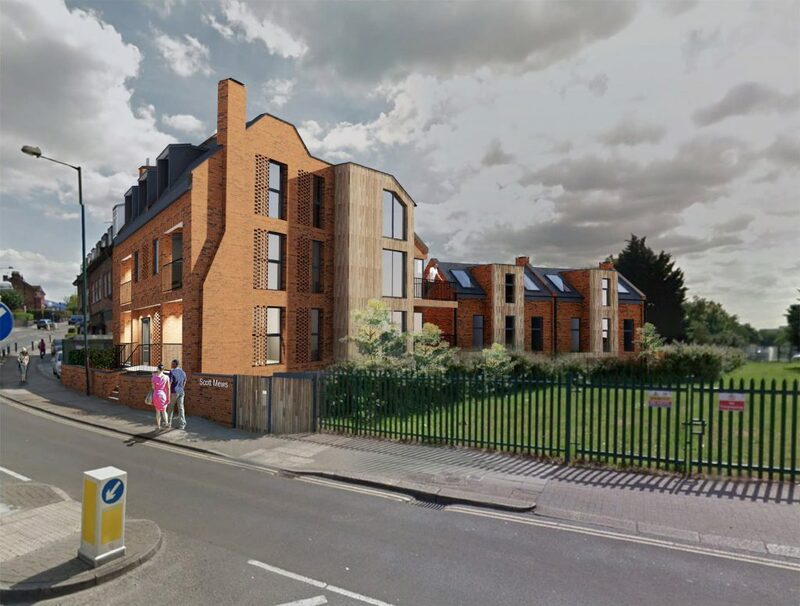 Following a three-year collaborative design development process with the planning department, permission was granted just before Christmas for this new development on Dudden Hill Lane. Adjacent to an existing parade of shops and building on brownfield land that borders a Thames Water strip of land, the design creates six new flats and two houses as part of a new contemporary mews-style development. After working closely with various members of Brent’s planning and development team, on items from the parking and landscape design to protection against any flood-risk for the site, the design was approved under delegated powers (at 7:30pm on 20th December). 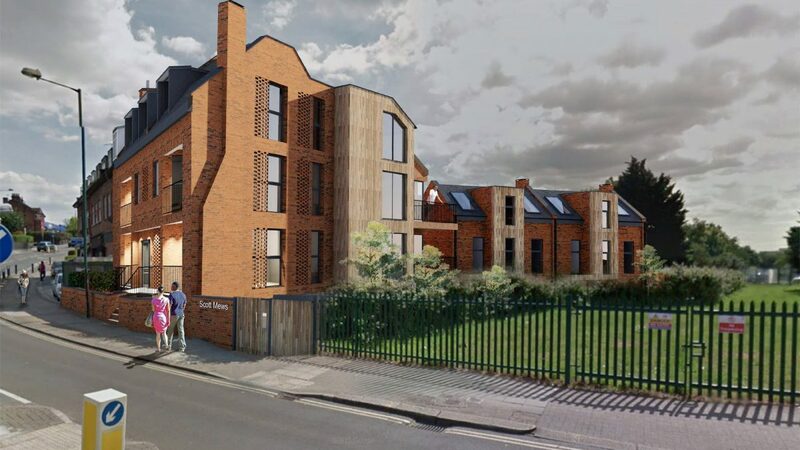 The design will make use of an overgrown and unused site with a contemporary translation of the existing vernacular along Dudden Hill Lane which turns the corner to address the adjacent green-space. 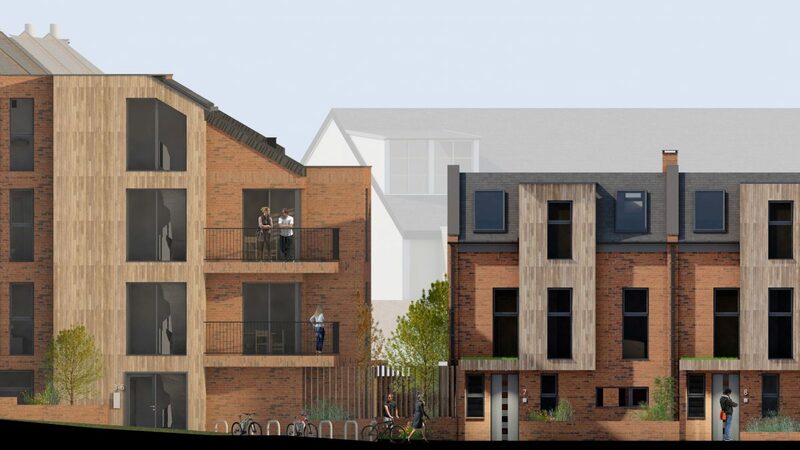 The new flats and semi-detached houses to the rear will create a beautiful but contextual addition to the street, following the datums and proportions of the neighbouring buildings. We have already starting to discuss next steps, looking to take the project on site in 2019. Watch this space to follow progress! © Copyright Crawford Partnership. All rights reserved. Site developed in partnership with Daniel Sharpe.